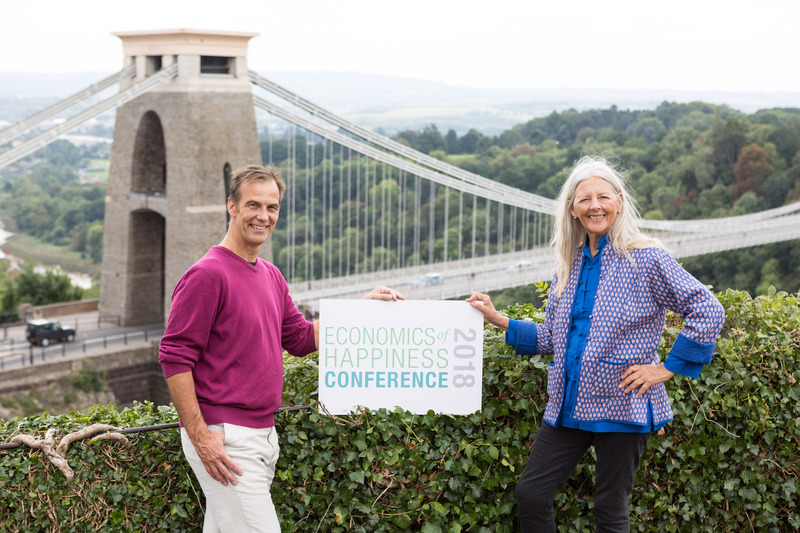 Bristol will next month play host to an international Economics of Happiness conference, bringing respected thinkers, activists and innovators to the city. Co-hosted by Happy City, the Bristol-based charity promoting wellbeing rather than economic growth as a measure of society’s success, the event will encourage debate on the creation of a new economy that supports flourishing lives and a thriving planet, including the role that businesses can play. It will be hosted across a number of city centre venues between October 19 and 21 and will coincide with the annual summit of the Global Parliament of Mayors, which is also taking place in Bristol. The conference – the 18th in an international series – will explore and explain the need for a shift in direction from a globalised system of inequality and environmental degradation to local cultures and economies that put wellbeing and resilience first. Internationally-recognised experts will come together with local speakers and activists for three days of talks, panel discussions and workshops on the global-to-local theme. Topics will include the economics of local food systems, the role of business in a wellbeing economy, the future of cities and the regeneration of community. Pioneer of the new economy movement and conference co-host as founder/director of Totnes-based Local Futures, Helena Norberg-Hodge, said: “This conference is a unique opportunity to discuss the ‘big picture’ – moving beyond the narrow Left/Right parameters of conventional economic thinking to look at root causes and root solutions. Among the speakers will be chief executive and founding director of Happy City, Liz Zeidler. Liz, the former chair of Bristol Green Capital Partnership, and her team recently launched the Thriving Places Index, the most comprehensive analysis of how well local authorities are doing at creating the conditions for people to thrive ever undertaken. Stewart Wallis – co-founder of the Wellbeing Economy Alliance and a former director of the New Economics Foundation, Stewart is well known for advocating the transition to a new economic system and was awarded an OBE in 2002 for his work with Oxfam. Stephan Harding – respected author and director of the MSc in Holistic Science at Schumacher College, Stephan is renowned for his inspirational teaching on deep ecology. The speakers will demonstrate that grassroots activism can bring about real and lasting change against a backdrop of an increasingly gloomy news agenda dominated by President Trump, Brexit and the impacts of extreme weather events. Bristol-based charity Happy City director and conference co-host Mike Zeidler added: “We are exactly 10 years on from a banking crisis that highlighted fatal flaws at the heart of our economy, yet we still haven’t seen the systemic changes needed to tackle them.